Anyone who spends his or her birthday always look forward to a unique and unforgettable birthday celebration. Most celebrants are pretty hands-on with their celebrations, and others might ask a little help from friends, family, or professional organizers. It doesn’t matter how an idea is brought up for a certain birthday celebration—what matters is, any idea could turn a birthday party into a truly amazing celebration. Want to define uniqueness through birthday celebrations and presents? 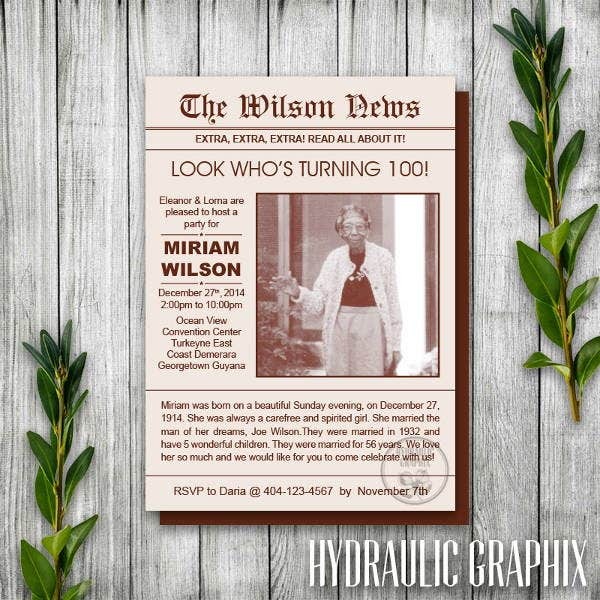 Why not try a birthday invitation card with a newspaper layout or a birthday card present made from the scratch newspaper itself? 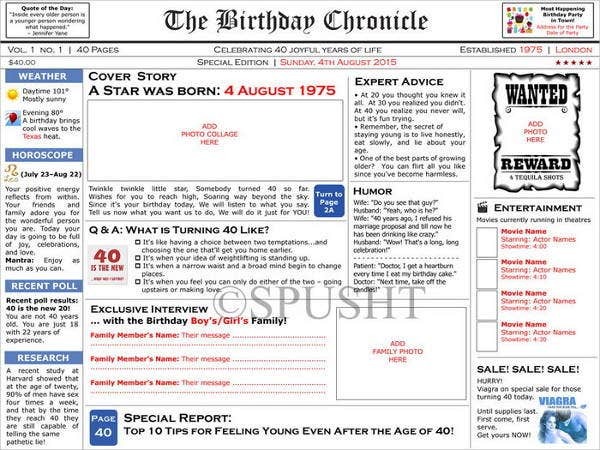 Check out these Sample Newspaper Templates for birthdays and get some awesome ideas. Are you celebrating your birthday soon? 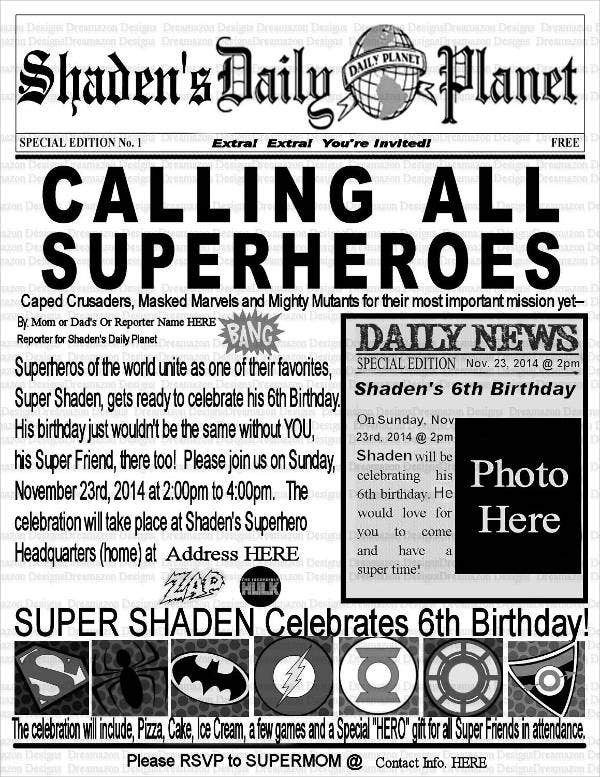 You will definitely want to be in the headlines with a newspaper birthday theme. 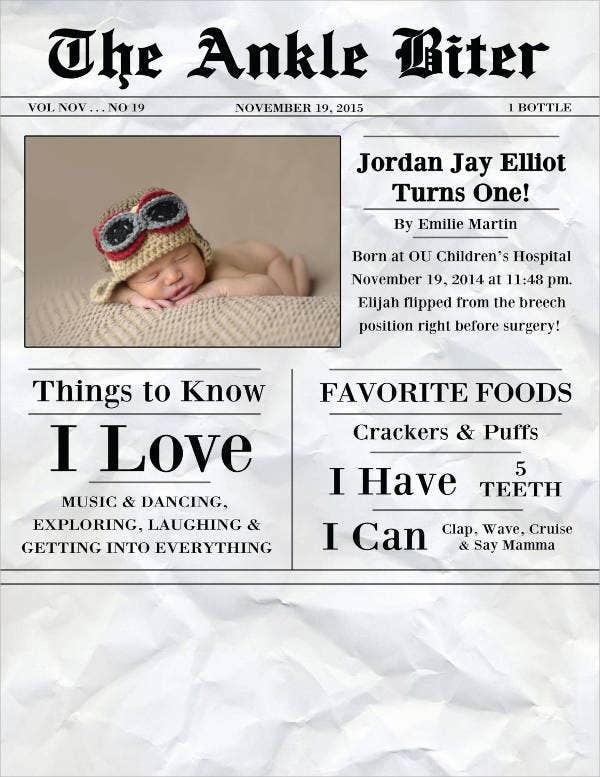 From invitation cards to party favors and giveaways, you will be excited to see so much uses of newspapers that you’ve never imagined before. A lot of DIY crafts. Since the theme is not so common, preparing for this birthday theme will involve a lot of do-it-yourself crafts. You will mostly create decorations and party favors from old newspapers and suggest a vintage touch for your party as well. Newspapers. Since this is the birthday theme in itself, you will make use of a lot of newspapers. It could be used as backdrops, banners, posters, and a lot more. Paint and markers. 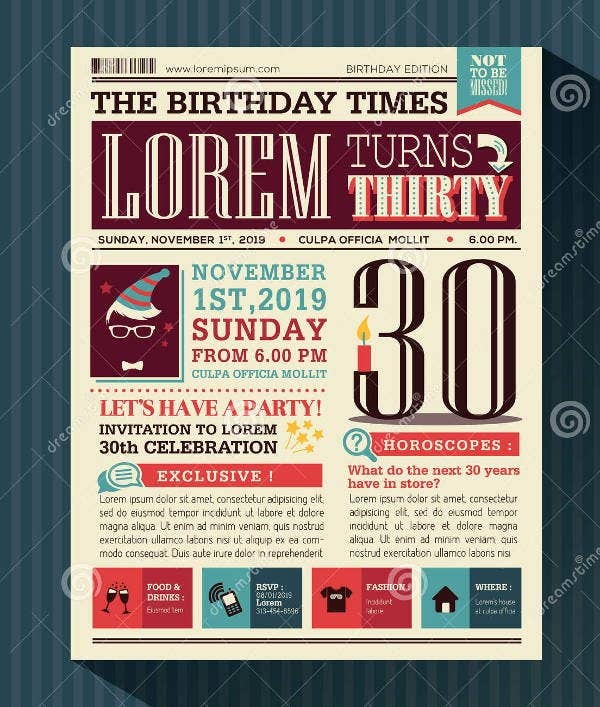 It is in your discretion if you would want a party with simply just the plain colors of newspapers or you would want to add color to it for your designs. You would also need markers if you would want to label your party favors, treats, and stalls. Check out these Blank Newspaper Templates for creative layouts for your birthday invitation cards. If you want to pursue a “strictly newspaper” themed birthday party, make sure you are creative enough with all your party needs and ideas. Make the most out of every newspaper you have and try to see where the artist in you will take you. Party hats. It would totally be fun and easy turning old newspapers into fun and colorful party hats. You could make use of some paint to color your party hats in polka dots, stripes, and in a lot more designs and patterns. Newspaper stories. Well, newspapers generally contain headlines. Below these headlines are stories of different types of news all over a certain area. 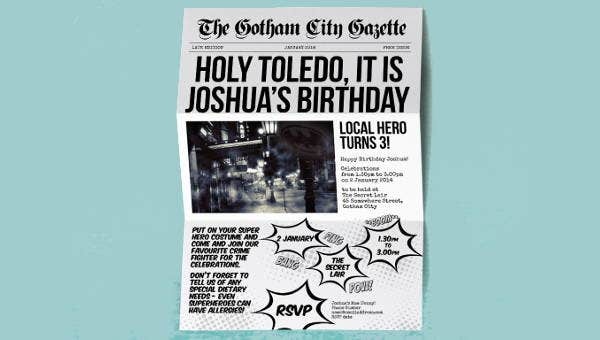 You could create stories for your birthday celebration and overlap them on newspapers. This way, you get to entertain your guests. Gift cards/gift wrappers. To be able to pull off your theme, wrap your party favors and treats in newspapers. You could even print out thank-you cards with newspapers on the borders. 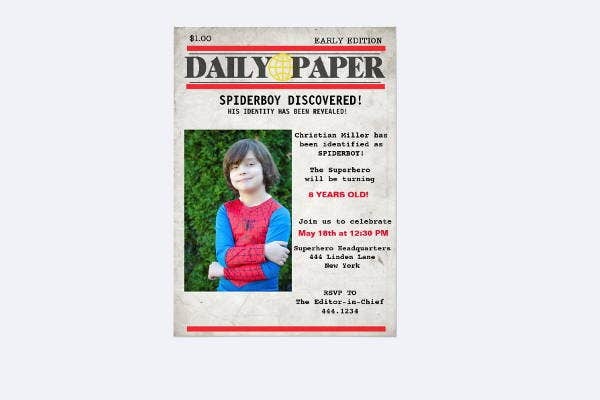 For more unique ideas for your ideal newspaper birthday party, check out these Newspaper Headline Templates and see what else could make a great complementary design for your party. Your birthday party will surely make it to the headlines!